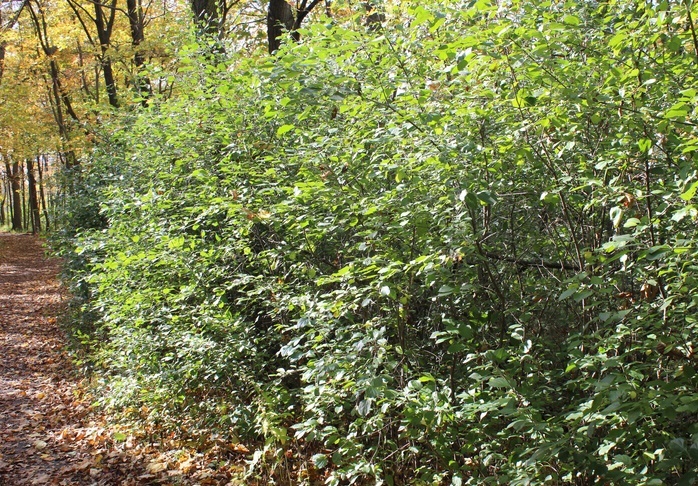 Rhamnus cathartica, or more commonly refered to as Buckthorn, is a common sight in north-central and northeastern United States and the maritime provinces of Canada. Although Buckthorn is native to Eurasia, it was introduced to North America in the 1880s as an ornamental hedge plant. Its abundant fruit is dispersed by birds and other animals and it spreads quickly, replacing native vegetation.